Home Uncategorized #WIN a Day at the Spa with Tina O’Connor #Vancouver ! #WIN a Day at the Spa with Tina O’Connor #Vancouver ! Published on October 30, 2013,	by Tina O'Connor in Uncategorized. There is pretty much nothing better than a day spent relaxing at the Spa. This kid-free, agenda-free time is spent purely focusing on you (we don’t do nearly enough of that, do we? 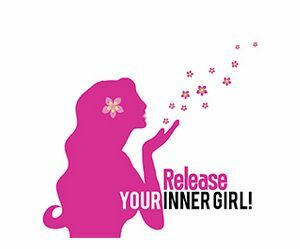 ), rejuvenating your inner girl. We all need this time in our lives to be able to be the best Mommy, Wife, Sister, Friend etc. that we can be! Tina O’Connor would like to invite you to enjoy a day at the spa with her in Vancouver! Calixica Holistic Day Spa on Robson will offer up a body, mind and soul experience, using products and methods that are sustainable and planet-friendly. Leave a comment below telling us why YOU think you need a day at the Spa! Considering that this is in my ‘hood, as well as my job as a social worker, makes me a perfect candidate for a day at the spa! I’d love a massage to reduce my stress and a facial to work on those lovely aging lines. I didn’t know about this spa before I read your blog post! I shall have to investigate! thanks! I need a day at the spa because I am a 59 year old grandmother who’s never been to a spa in her life! All these youngin’s got the rest of their lives to be pampered, who knows how much time I have left??? I’d really love to have a day at the spa for obvious reasons as I’m a stress-a=holic and anxious all the time. My own doings! But more than myself, I’d really love it if I could give it to my mom or my sister. When my mom comes to town from the Sunshine coast shes always running around with my dad ‘getting things done’ and never gets to take some time for herself, let alone a pampering spa day! My sister has been struggling with finances and I dont know if she’s EVER been to a spa. And if we could go together that would be a dream come true. So if I win Id give it to one of them, whoever can make it. I’m actually entering for someone very special in my life. She’s had a lot of challenges the past year or so. A surprise day at the spa would really make her day – thank you! Me! Me! I have a “spirited” 3 year old and a 14 month old who still nurses 2 or 3 times a night. I need a little space/time for myself, and a spa day would be fantastic! I really need a day at the spa! I’m an ESL teacher to adults in a business downtown. Apart from weekends, I’ve only had one week off for an entire 12 months and the stress is really starting to affect my teaching! I teach beginners, who have little to English, so it is really quite a challenge. On top of that, I receive new students almost every day in my class, which means I have constantly changing numbers, levels, and variables. I have to be on my toes and thinking fast all the time. It’s never boring, but boy am I ready for some TLC! I am a stay at home mom of 2 boys, who are 2 and 4. I could really use a day at the Spa because I haven’t had one in nearly 7 years!! This would be quite the treat for me.